Is deep learning ready for mainstream enterprise adoption? I went to the O’Reilly AI Conference last week with this simple question. Recent surveys suggest that while half of enterprises believe that AI and deep learning will play an essential role in future projects, almost three quarters have not yet started experimenting with deep learning. As more organizations demonstrate business value from their deep learning investments, as the number of AI practitioners grows, as the ecosystem of AI startups and service companies matures, and as AI technology becomes more accessible to mainstream users then deep learning is likely to become more heavily used by a wider range of organizations as part of digital transformation programs. From what I saw at this one conference, we might be in the early tipping point where more organizations should be looking to identify business opportunities, select partners, and consider proof of concepts. First, the bad news for enterprises. The demand for AI and machine learning talent is likely to heat up. While the talent shortages for data scientists is slowly being addressed by academia and professional training programs, advanced AI skills are a specialization and the talent gap is likely going to exist for several years. This is because AI specialists require a multitude of advanced computing, mathematics and data science skills along with deep knowledge of the various AI algorithms and research. In addition, many types of neural network algorithms are just starting to be put into commercial use. Zoubin Ghahramani, chief scientist at Uber and professor at the University of Cambridge acknowledged in his keynote that “Deep learning is the rebranding of an old idea neural networks” and that there are many other algorithms AI engineers should consider when experimenting with AI. For example, at the conference there were examples of solutions developed with Bayesian networks, recurrent networks, and reinforcement learning. Selecting appropriate algorithms, defining learning techniques, configuring networks, and preprocessing data for AI experiments will continue to be tasks that require a strong background in mathematics, machine learning, and computing. But there is some longer- term opportunities for the next generation of students to become more versed and experienced in AI through organizations like AI4ALL and Girls Computing League. AI4ALL shared that ninety-one percent of their graduates plan to pursue a career in AI and that for every one of their students that goes through their programs they educate eleven more. Enterprises beyond the biggest technology companies are taking bolder bets with their AI experiments and are demonstrating results. Danny Lange of Unity Technologies described how the gaming platform technology uses AI to generate advertisements, improve retention, present in app purchases and generate terrain and landscapes in their games to generate revenue and lower the costs for gaming studios. Mike Ranzinger of Shutterstock demonstrated composition search, a way for marketers and others searching for stock photos to compose their search with both keywords and image layout information. Mary Beth Ainsworth of SAS described WildTrack, a project to track cheetahs in the wild noninvasively by using footprint identification technology. So, while some AI technologies like robotic process automation can drive cost benefits and others like recommendation engines can improve revenue and user experience, deep learning pilots are more often targeting larger scale and bolder opportunities. CIO should begin asking solution providers how they currently or plan to leverage machine learning and artificial intelligence in their products. Just a few years ago, these capabilities were only common in platforms from the larger solution providers. That’s no longer the case as many more solution providers are selling artificial intelligence as an embedded and differentiating capability. Two examples at the conference were Hirevue and Bonsai. Hirevue’s video intelligence platform extracts visual, audio, and language features from employee interviews and matches them against an AI trained with the patterns of the organization’s more successful employees. I spoke with Lindsey Zuloaga, Director of Data Science at Hirevue who explained to me that the algorithm works really well in large organizations looking for candidates in positions that require strong communication skills like sales, retail, and customer service. Bonsai was one of the platforms demonstrating the power of reinforcement neural networks, networks that are trained based on maximizing a reward function rather than training networks based on tagged data. Bonsai is applying reinforcement learning to industrial applications to improve quality, reduce costs and other applications. Mark Hammond, CEO of Bonsai suggests that those experimenting with reinforcement learning need to start with simplified problems that are approximations to real world scenarios and apply “machine teaching” techniques to mature the AI’s capabilities. Intel announced a new Intel AI Builders program aimed to help match enterprise AI opportunities with an ecosystem of software vendors and integrators. Alegion helps companies leverage crowdsourcing to accelerate tagging training data for deep learning experiments. Dataiku showcased their machine learning platform that helps connect the work of data scientists, engineers, and analysts to explore, build, and deploy data products more efficiently. ai, a platform used by hundreds of thousands of data scientists demonstrated H20 driverless AI running on GPUs and making it easier and faster to process large data sets. Databricks demoed their Apache Spark based interactive workspace enabling data stakeholders to explore, collaborate, and build data pipelines and analytics. Anodot demonstrated a real time analytics platform that can monitor highly dimensional real time data to identify patterns and deviations. Mohsen Hejrati, CEO of Clusterone demoed their platform that makes running deep learning experiments at scale easier for data scientists by automating many of the infrastructure and operational tasks. If you were concerned about diving into deep learning and other forms of artificial intelligence, then it might be time to reconsider. 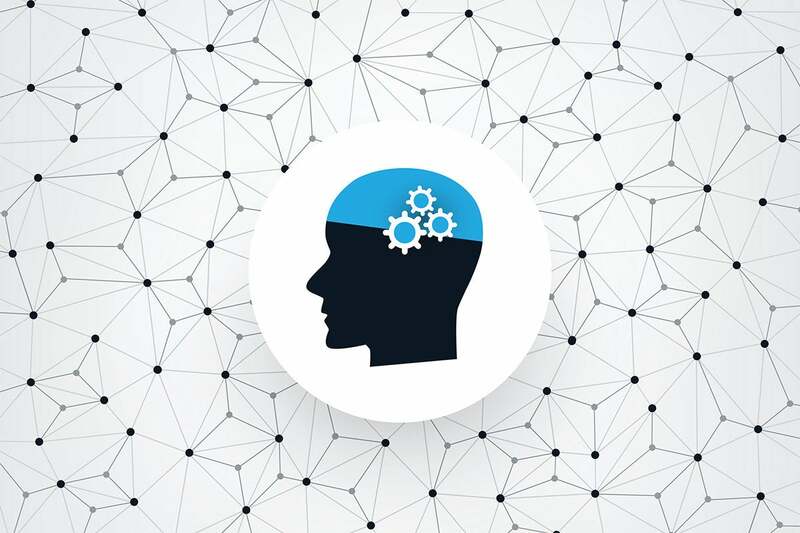 Deep learning is still hard and requires organizations to identify business meaningful experiments, tag large volumes of data, configure infrastructure, select platforms and develop the necessary skills and partnerships. But like other emerging technologies, AI is getting easier as platforms and partners make the data science more accessible to middle stage adopters.